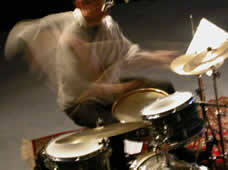 Click on the CDs below for more information and audio samples. 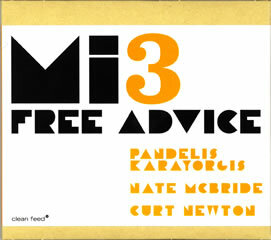 "Free Advice is a timeless trio masterpiece destined to surprise listeners for years to come." "This is a gem. 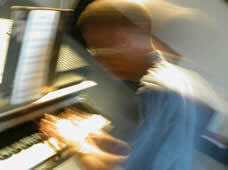 The colors of the Rhodes, the level of musicianship, and good old inspiration make for the most musical of collisions. It hasnt left my player for weeks. " "If you asked me to make a long enough wish-list for musical projects, I'm sure I'd wind up asking for a trio with an elite post-jazz keyboardist smearing a Fender Rhodes electric piano over a snap-crackle-pop free jazz rhythm section. You can imagine how great it felt to have any such wish pre-empted by a disc that jumps right into the stratosphere with a leadoff take on Dolphy's "Gazzelloni" that fits the proposable scheme as tight as I could hope for. This disc just destroys me... "
"The set consists mostly of Monk tunes, with three Karayorgis originals (including "Disambiguation," one of my faves), one by Hasaan Ibn Ali, and a crushingly good version of [Eric Dolphy's] "Gazzelloni." After a few listens -- especially to their quirky, ruminative "Ugly Beauty" and shifty, mischevious "Monk's Point" -- it's apparent that, as with the best Monk interpreters, there's no slavish appropriation of key monastic gestures....It's a killer recording." "Betwixt reveals (Karayorgis) as a sonic architect of the highest order, a visionary improviser whose enthusiasm for the possibilities of sound knows no limit. 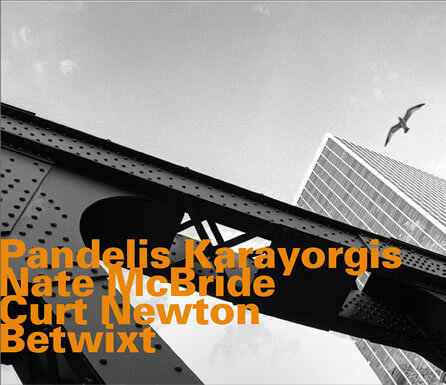 Together, Karayorgis, McBride and Newton offer a thrilling set guaranteed to turn heads." 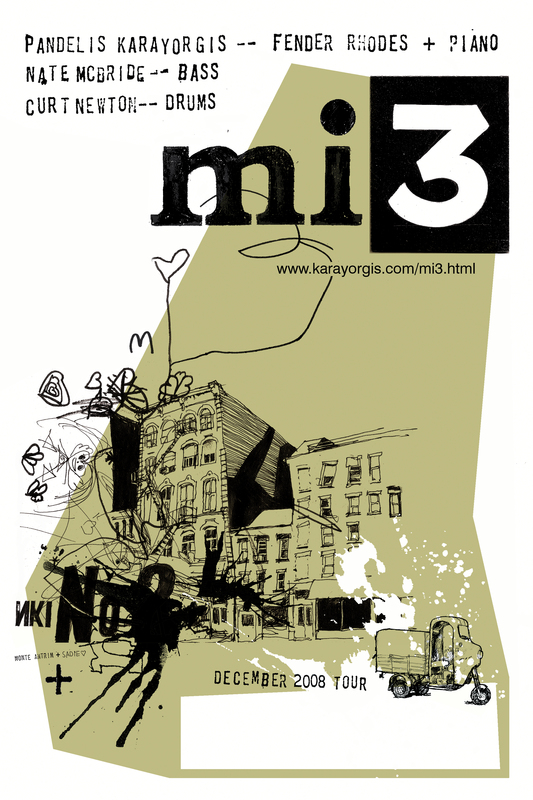 Excerpts from our 3-month Sunday series at the Abbey Lounge in the Spring of 2002. 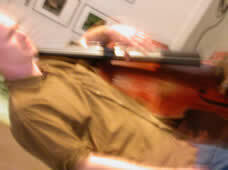 Composite clip from our May 2003 recording session at the Artits-at-Large Gallery for "We Will Make A Home For You." Gallery. Curt Newton on drums and Nate McBride on bass. May 2003. Click image to download promotional material in PDF format.